I managed to complete three kits this year, which is pretty good output for me. All are 1/48 scale. 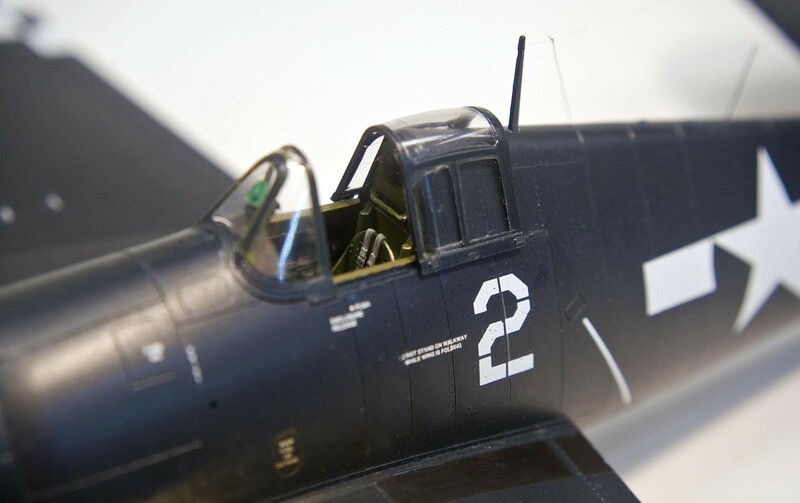 First was the Eduard F6F-5, finished in the markings of VF-27 deployed aboard USS Independence in July of 1945. 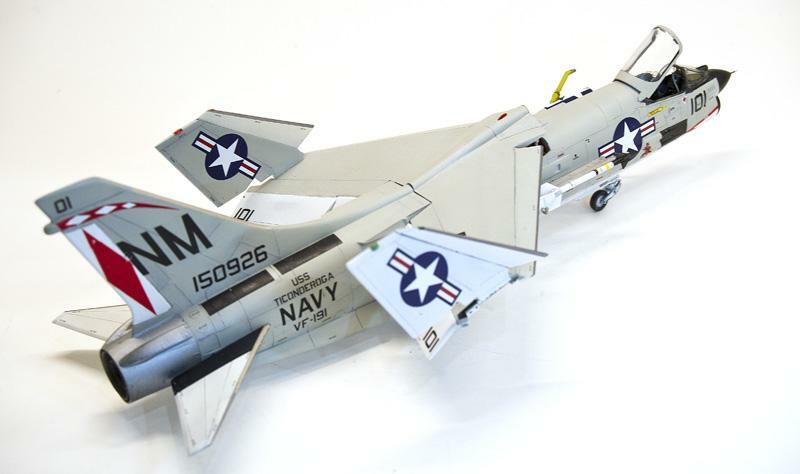 Second was a heavily-modified Monogram F-8E Crusader, finished in the markings of a MiG-killing F-8E Crusader from VF-191 deployed aboard USS Ticonderoga in 1967. 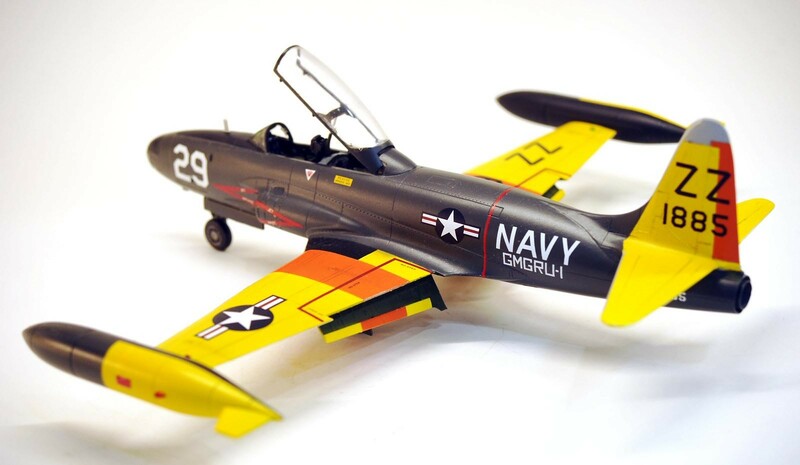 Last was the HobbyCraft T-33, finished as a TV-2D drone controller/utility jet attached to Guided Missile Group One in the early 1960’s. 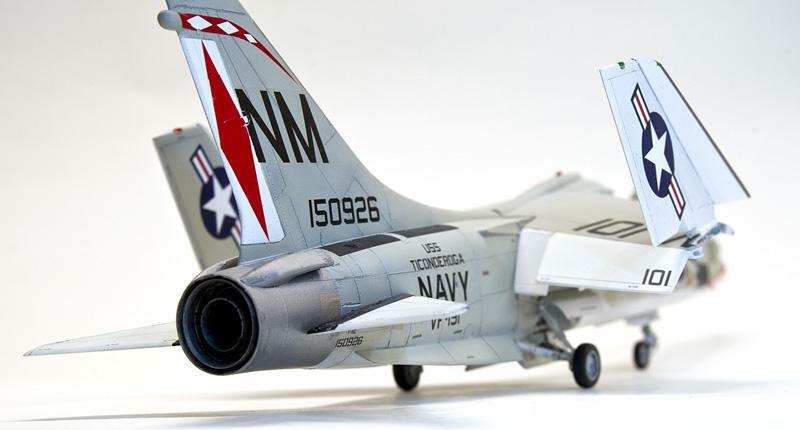 You know that I like a planes with Navy markings !!! You turned out some masterpieces Drew. Merry Christmas and a Happy New Year. Thanks, Louis! Really appreciate your comments. Merry Christmas and a Happy New Year to you and your family as well! Impressive accomplishments, Drew…I like ’em all. Happy Holidays. Thank you, Craig – Happy Holidays to you, too! Drew the F-8 is my favourite of the three kits completed. However, they all look great!!! Thanks, Morne! 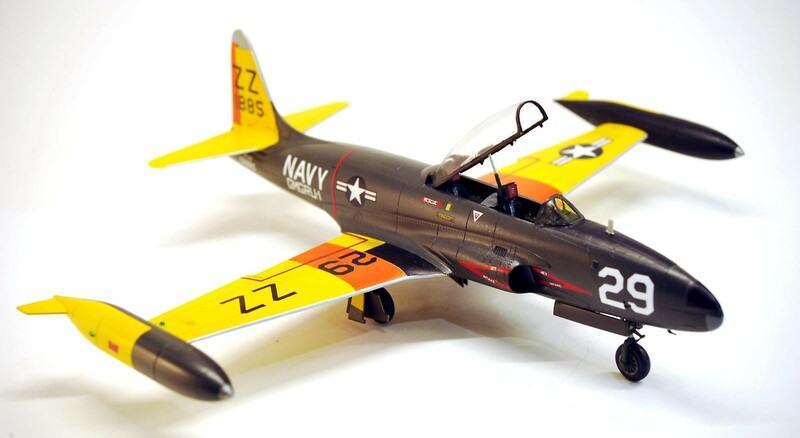 The F-8 is my favorite jet – I’ve built five so far! Quality is what counts and there’s plenty of that here, Drew. I’m with Morne, the F-8 is also my favourite. Hope you’re enjoying your Christmas break. Thanks for the comment, George! Hope you’re enjoying your Christmas break as well. 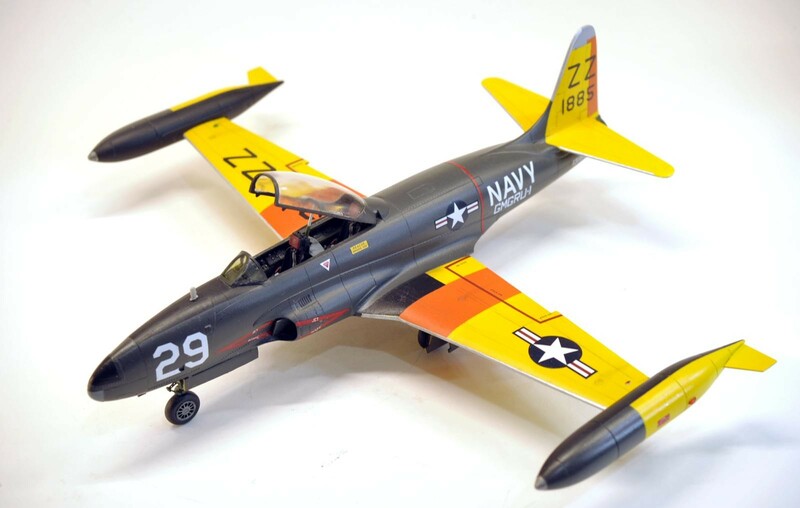 Good looking Navy birds – love the colourful TV-2D! Happy holidays! Thank you, Sebastijan! Happy Holidays to you, too. 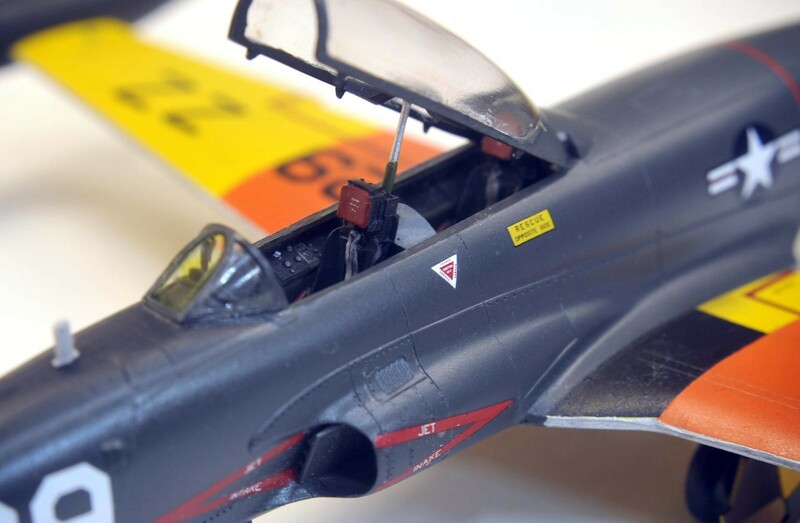 Nicely done Drew, really like the T-33 in that paint scheme. Also have a Happy New Year. Thanks, Tom! I’m pleased with how the T-33 turned out, but it was a nightmare getting it there! Happy New Year to you, too. Drew, all 3 are beautiful. I. too love the F-8. The utility T-bird is a beaut, also. Thanks, Bernard! Thanks for the kind words. Very classy builds Drew – they all look fantastic. Some interesting builds, Drew. I really like the Hellcat a lot. Happy New Year!! 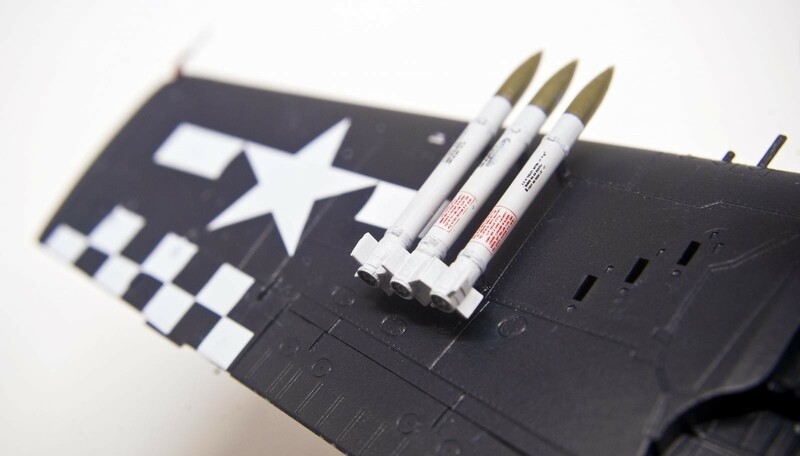 Thanks, Frederick – I’ve built three Hellcats so far, and have three more in the stash! Navair all the way!! Nice birds! Thanks, Robert – that’s all I build! Beautiful planes, Drew! I especially like the F6F even if it is the “plain Jane” of your great builds. My Dad flew off the USS Independence, but he was stationed in Hawaii by the end of 1944. 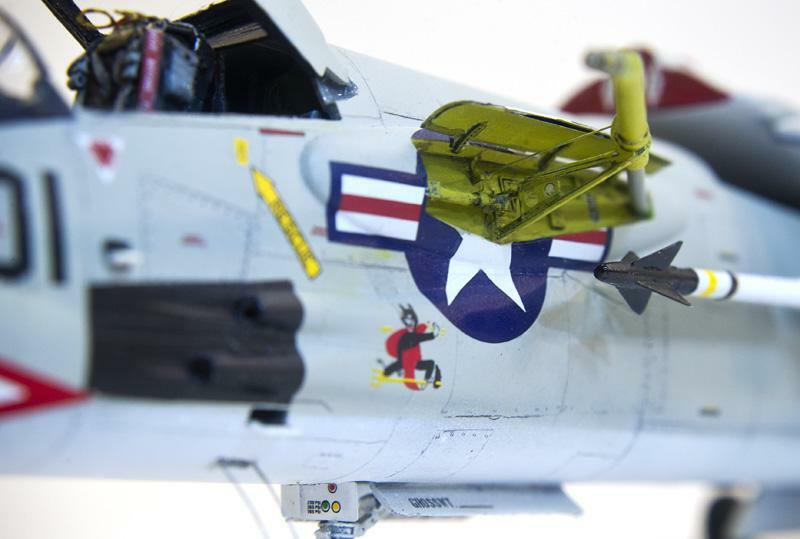 I think he flew SBDs during his time on the Indy. Thanks. Jeff! 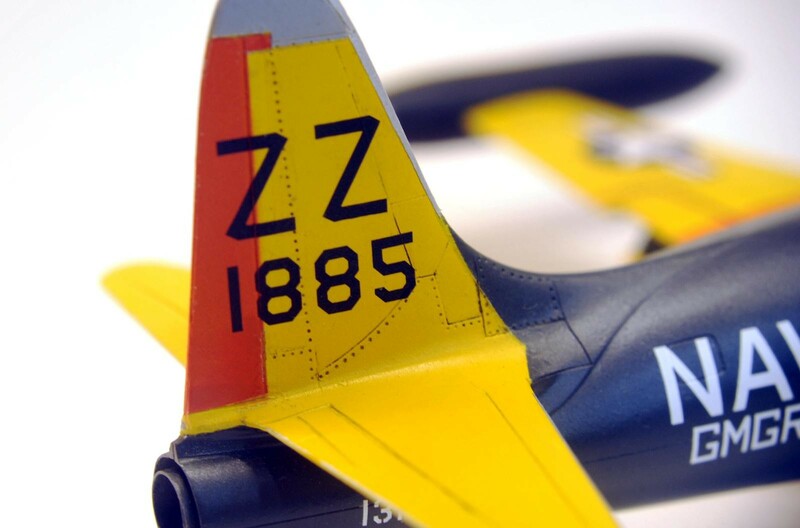 The F6F is my favorite prop-driven plane. I bet your dad has some great stories from his time on Independence. 2017 has clearly been a very good year! Some very nice models there.